Sounds Fun | The Kids Beat | Kids VT - small people, big ideas! You're probably well aware of how loud your kids can be. But if you want to know exactly how many decibels they produce, check out the scream chamber that's part of the visiting "Sonic sensation" exhibit at the Montshire Museum of Science. Inside the semi-soundproofed room, a band-camp group recently cranked it up to 110 dBs. Kids can also use their "listening ears" to try to find a cricket in a cupboard, dance up a storm on a motion-sensitive, sound-producing carpet or test their Foley artistry by selecting sound effects for a movie. The science of sound is thought provoking for adults, too. Sound is all around us, but how and why do we tune out, tune in or hit the right note? 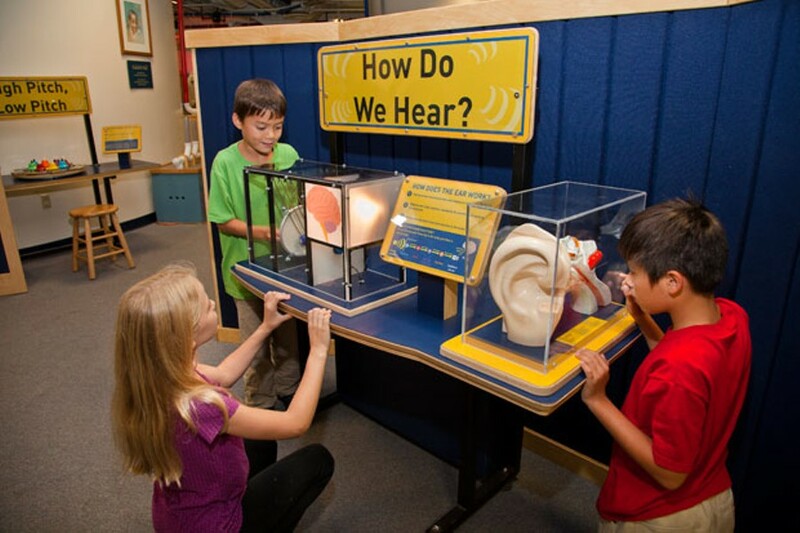 "Sonic Sensation:" Through September 4, Montshire Museum of Science, Norwich, 10 a.m. to 5 p.m. $12 adults, $10 ages 2-17, free for children under 2. Info, 649-2200, montshire.org.